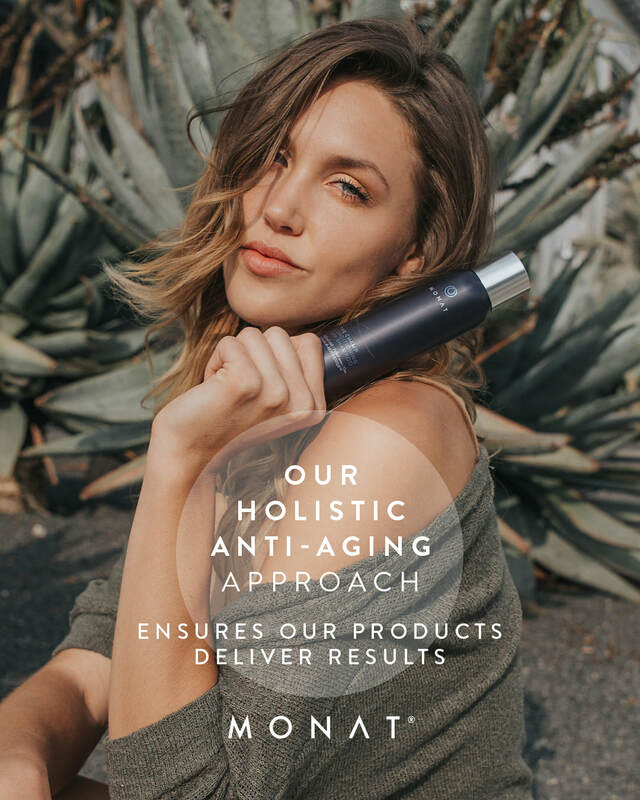 In our on-going commitment to offer naturally-derived products without toxins that are gluten-free, paraben-free and cruelty-free for our guests, we now carry Monat products. We are incredibly excited by the breakthroughs these products have made to reverse the signs of aging in hair and reduce thinning and breakage, while amplifying shine, strengthening your strands and boosting the health of your hair. Monat offers shampoos, conditioners, styling products and an award-winning oil treatment that can be used in multiple ways for hair and skin. Sharon even adds it to your haircolour to protect the integrity of the hair and boost shine. Monat even has a line of safe, non-toxic products for children and shampoo for your pets too! Click here to learn more about the products or to order products online. Ask us how you can become a VIP customer and receive a 15% discount on your online purchases, have access to flash sales and free products!